At Sanderson Stewart, we are proud to be the first private company recognized as a Gold Level contributor to the Western District’s student endowment fund. You might ask, “Why would we do that?” What is the benefit for a company like ours to contribute significant money to an endowment for students? Well, if you’re one of those types who require hard numbers that demonstrate a direct and measurable return on investment, then it might be hard to explain, but I’ll try. Now don’t get me wrong. I’m no bleeding heart. As a private business, we need to justify our expenses. If it doesn’t ultimately drive value to the bottom line, then it’s probably not worth doing. But what could be more valuable than ensuring the long-term viability of our profession. To do that, we need more top students to pursue transportation as a profession. Whether they go to work for my firm, a competitor, or a public agency or a client that we might work with, we are all better off if the level of talent, expertise and enthusiasm in our profession is greater not less. And, in my experience, getting students to attend a District ITE meeting and connect with ITE students and professionals from other places is the most certain way to hook them into our profession. 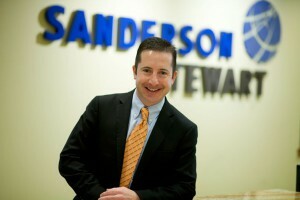 Can I calculate an ROI for Sanderson Stewart from helping to develop future traffic engineers? No, but I’m certain it’s in our best interest. Recruiting is the other payback we get from supporting ITE students. Many of my firm’s talented traffic and transportation engineers came to us because we knew them first as students. We often identify ITE student chapter leaders that show promise, get to know them at Section and District ITE meetings and then recruit them when they graduate. So I can say that our firm’s success in transportation is a direct result of student involvement at ITE meetings. 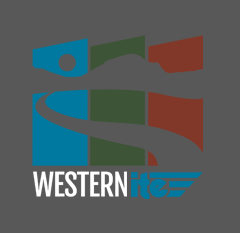 My own first connection to the transportation profession came when I attended the Intermountain Section meeting in Jackson Hole, Wyoming, when I was a student. At the beginning of this article, I said that I’m no bleeding heart. However, the last reason I will give for supporting the endowment fund is this – it’s the right thing to do. Somewhere along the line someone supported each of us in our early careers. Now it’s our turn to pay it forward. So Sanderson Stewart is proud to be the Western District’s first Gold Sponsor, not just because it’s the right thing to do, but because we think it serves the best interests of our company and our profession.